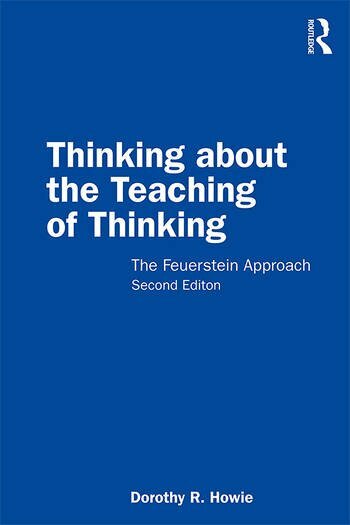 Thinking about the Teaching of Thinking provides an accessible and comprehensive introduction to Feuerstein’s theory of Mediated Learning Experience and its related tools and programmes. It details up to date international and New Zealand research on the Feuerstein approach which reflects the current issues in the teaching of thinking. The book begins by defining what is meant by the teaching of thinking and provides an easy to understand explanation of the Feuerstein method and its value for children with learning challenges. It champions a ‘whole school’ approach to the teaching of thinking and details the practical tools and programmes developed by Feuerstein — such as Instrumental Enrichment and the Learning Propensity Assessment Device — to aid in its implementation. It also recognises the key importance of cultural factors in the teaching of thinking, bringing together the author’s considerable research experience using the Feuerstein method in the multicultural New Zealand context with her extensive knowledge of international Feuerstein research. This book provides a user-friendly and unique coverage of the Feuerstein method for researchers and post-graduate students researching and working in educational psychology. It will also be of great value for teachers and parents looking to understand and decide on implement of the Feuerstein approach in their schools. Dorothy R. Howie has considerable experience as a teacher and researcher in the fields of the teaching of thinking and inclusion at the University of Auckland, New Zealand, and the University of Hull, UK. She is currently based in the School of Psychology at the University of Auckland, in an honorary position, and leads the New Zealand training in the Feuerstein approach.